You will visit the Tiger’s Nest monastery ( Takstang), explore the Dzongs ( monasteries and admistrative centers), and view some spectacular mountain scenery at the Dochu-La pass. In September and October, clear weather offers awesome views of the Himalayas. This trip works well for solo travellers, families (kids are welcome) as well as for the elderly. For more details, click here. A 7 day trip that starts and ends in Leh, Ladakh. 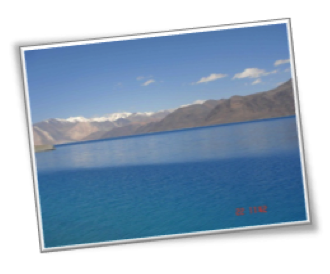 From Leh we do trips to the beautiful Pangong Tso lake, and the unbelievable Nubra valley.Visit Turtuk village, where the featured photo in this newsletter was clicked ( details here). Stay in tents near the Lake, and in the desert-like valley. This trip involves a fair amount of driving and needs acclimatising to high altitude. MeghalayaBring along your galoshes, your raincoats, your umbrellas.. and your indomitable spirit. You will be rewarded with beautiful sights of swirling mists among the mountains, greenery that will dazzle your eyes, and the fury of the waterfalls in the town of Shillong, the village of Cherrapunjee and Mawllynong ( details here). SPRING AND SUMMER TRIPS PREVIEWGypsyFeet will be organizing group trips to Bhutan, Myanmar and Nagaland .For those who want a customised trip, we are happy to work with you individually. We can do trips in Meghalaya, Assam, Nagaland, Mizoram, Tripura, Arunachal Pradesh, Sikkim and Bhutan as well as parts of Himachal Pradesh and Ladakh. If I am not too broke, then would love to travel. Bhutan has been one of those places, I would love to visit…including the rest of the world.! what the departure date for fabulous 3’s trip ? Please send us your mail id for details of the Fab 3 trip. do we need passport for bhutan trip ? by when last you will be accepting the confirmations for bhutan ? I am intersted. Can you send me the details. I am interested in ur fab 3 tour. can u send me the detais pls. Hi Nitin,we mailed you the details.Hope you got it. am super satiated to have you gypsy !! Definitely looking forward to explore the real feel… So do send me in all the details comprising charges, etc .. Very interested in the Birding & wildlife trip. Is it towards Eagle Nest ?? Let me (us, i.e wife & 12 year old son, who is a super birder) know. Sent mail to your mail id about this. Yes, Eagle’s Nest can be included in the birding itinerary. Hi, thanks forcontacting us. Sent you email on the details. 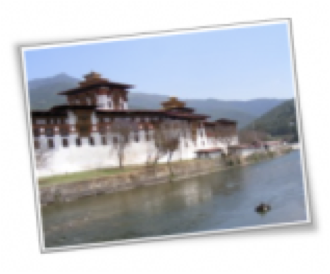 What are the dates for your shorter 6 day trip to Bhutan? pls send the fees /charges for the various packages coming metween mar- aug 2010. 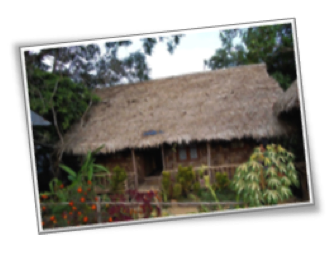 Would like to know details of any group trips (adventure/cultural) happening in March 2010. I’m traveling solo. Hi Anuradha.All the groups are booked for March.We have sent you details for our April trips. KIndly send me details of available trips in March and April. I plan to travel solo for long trips or with family for a short trip. Hi Abhishek, hope you received our reply. Mostly I am a solo traveller. Please send me details about trip during Sept ’10 – Jan ’10. It may happens, freind or family member may accompany me. Mostly I travel alone. Please send me details about trip during Sept ’10 – Jan ’10. It may happens, freind or family member may accompany me. Hi Kaushik – hope you received our mailer with the details of the winter trips. looks very interesting,Any suggestions for a trip in first fortnight(5th-15th) of October (age group 58-65). We sent you email on this. Please let us know if you have received. Woderful!!! Is there any trip planned for this season? Hi I would like to receive upcoming tour updates from gypsyfeet. Do you organise women’s only tours too? Also would like to know if you have any international tours to offer, other than Bhutan. Hi Divya – we only offer international trips to Bhutan at present. We do organise solo women’s trips from time to time. Are there any packages in the last week of Dec ’10?Somethin arnd New Yr eve? I just read an article on u done by the Mumbai Mirror. I have confirmed tickets from mumbai to guwahati on the 25th of Dec, i plan to come with my family consisiting of 2 adults n 2 kids aged 9 and 4. Do you have anything lined up for the 25th Dec to 2nd of Jan. the places that i wanted to visit were shillong, cherrapunjee, kaziranga and Nameri eco camp. Hi, We sent you mail with a customised itinerary and costing. Thanks for writing to us. Hi I just love ur ideas and the way of traveling. I would like to know more about your upcoming trips including the costs. An interesting article in Mumbai Mirror has inspired me to know about trips of Hilly Region of NE. pl send me details and cost of your upcoming trips of 7 to10 days duration. Hi. My friends and me are interested in visiting Bhutan in March / April next year. Can you please send us the iteneraries for the same. Details requested for any tour operating between 01st Jan to 15th Jan 2011 for self and spouse and a 28 months old daughter. hey could u please mail me details of upcoming trips…especially the one to bhutan 🙂 also could u mention the cost for one person…hoping for a reply soon…thanks! Hi, could you please send me details of trips planned this year? Also, at which age do you recommend kids can join your tours?